The AWARD Winners 2019 will be announced on May 15, 2019, 4:30pm at the AWARD Ceremony as part of The smarter E Europe in Munich. 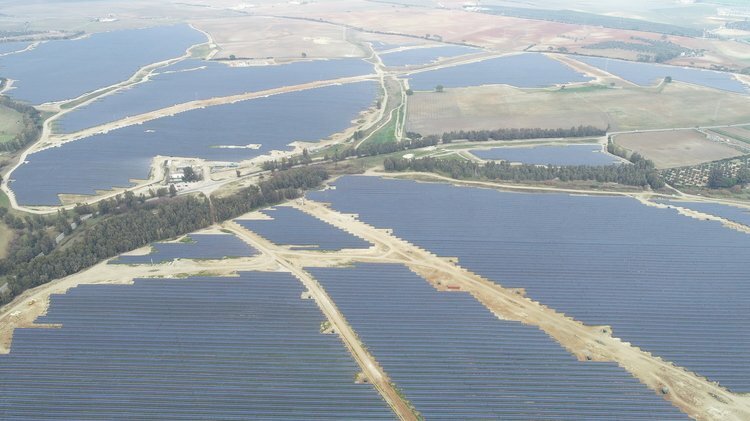 The Don Rodrigo solar park in southern Spain is the very first European photovoltaic power plant to be financed without subsidies. 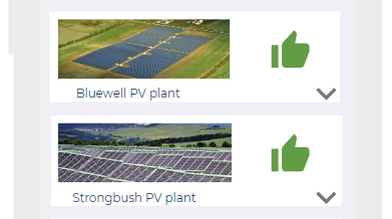 500,000 solar modules are installed over an area of 265 hectares, and the total output of the park amounts to 175 MW. At less than 25 euros/MWh, Don Rodrigo’s electricity production costs (LCoE, levelized cost of electricity) are lower than those of conventional power plants. 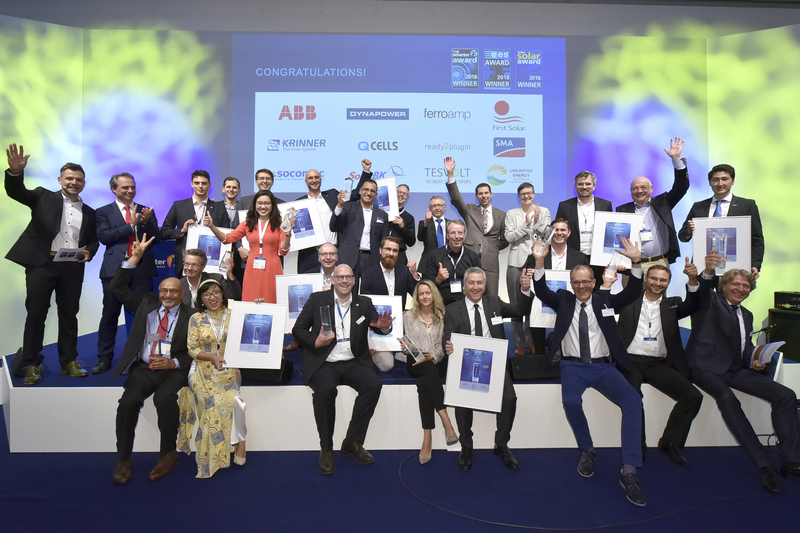 This shows that it is already possible for renewable energies to achieve grid parity in sunny regions of Europe without the need for subsidies. 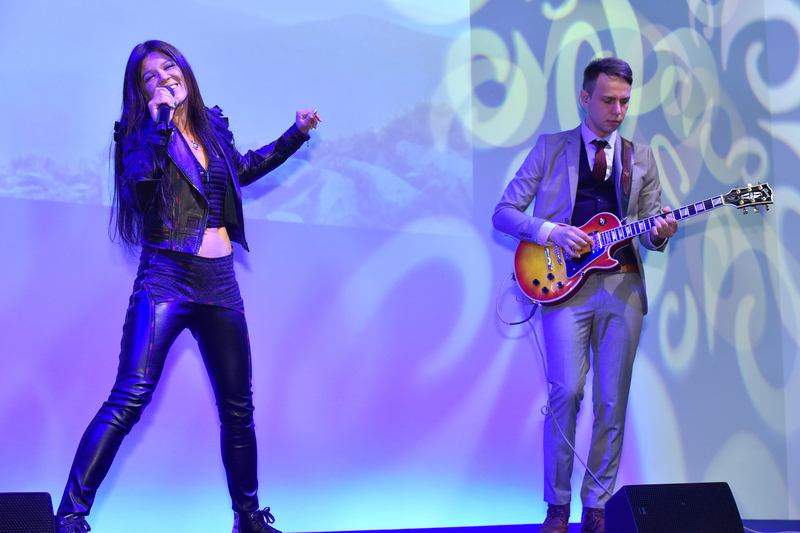 CanalOlympia – Where Culture Vibrates in Africa! 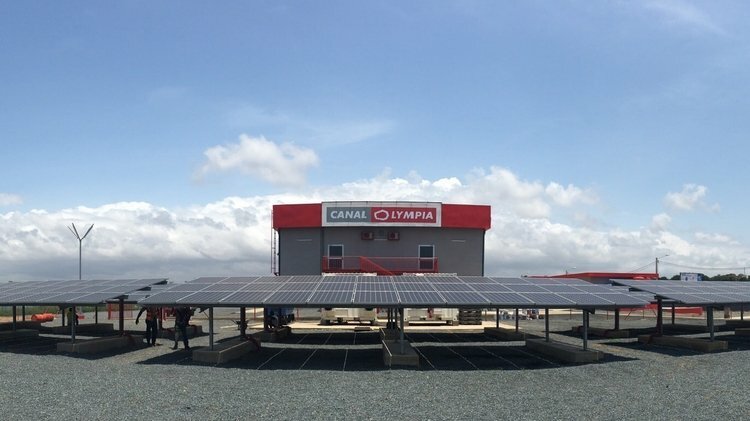 A chain of environmentally friendly cinemas which produce their own electricity have been launched under the name of CanalOlympia. 50 entirely self-powered cinemas are in operation across Central and West Africa. The cinemas are supplied by a hybrid system with 140 kWp of solar modules and 400 kWh of storage. This creates the infrastructure needed for culture and entertainment in rural environments. 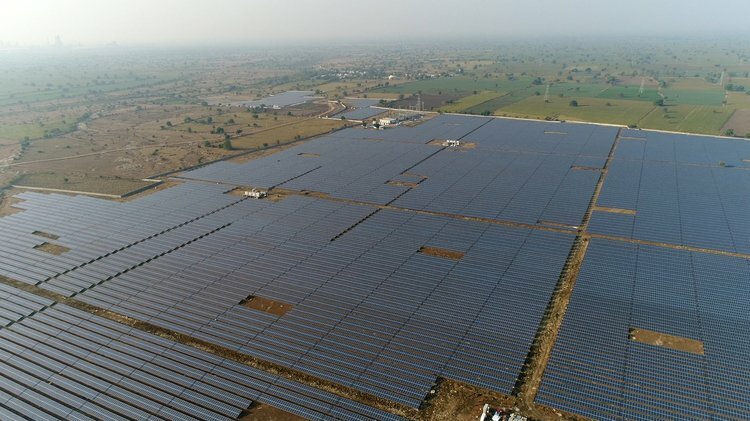 A grid-coupled solar park with an output of 145 MWp in Sedam, in the Indian state of Karnataka, is making it easier for companies to switch to solar power with minimal risk. CleanMax is a local green power provider which supplies companies with renewable energy so that they don’t have to invest in their own PV installations. This has made it possible for Adobe India, for example, to cover the entire energy demand of its Bangalore campus with power from the solar park. 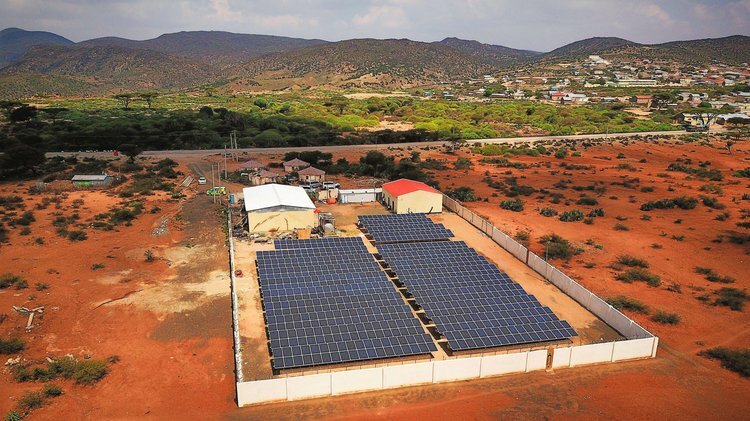 Thanks to a hybrid system comprising a photovoltaic installation (200 kWp) and a lithium-ion storage unit (265 kWh), a local utility company in Somaliland (East Africa) can now completely shut down its diesel generators during the day. A smart grid control system is responsible for fully automatic and load-dependent control and regulation of all energy sources. The share of renewable energies can be expanded in similar applications with this system, regardless of the manufacturer or technology. Energiedorf Sammatz – Speichersystem Peronnik e.V. The Michaelshof project in Sammatz (Wendland) demonstrates that a village in Germany can power itself with locally generated renewable energy. A total of 190 kWp of photovoltaics have been installed on nine buildings and 90 percent of the solar power is consumed on-site. In combination with a 200 kWh lithium battery system, the prosumers achieve a self-sufficiency rate of around 40 percent. This tobacco factory in Amman generates both industrial process heat and cooling using Fresnel collectors. This is the first time that solar process steam generation and solar thermal cooling have been combined anywhere in the world. The Jordanian tobacco factory was fitted with a collector array spanning 1,254 square meters, and a two-stage absorption refrigerator is also used. 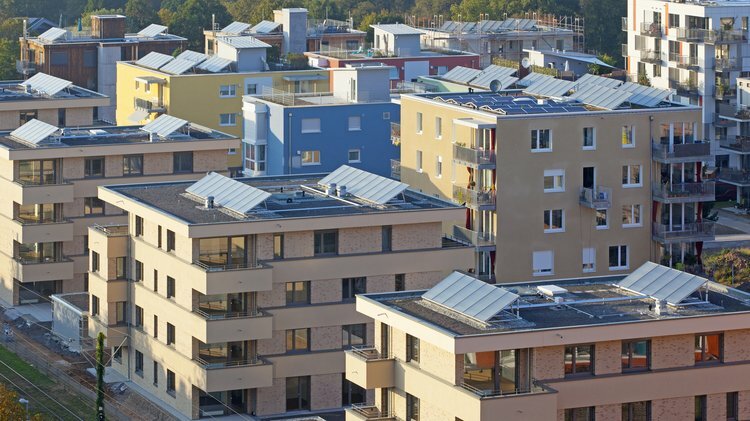 A smart heating network has been set up in Gutleutmatten, a newly developed residential area in Freiburg, featuring 38 decentralized solar thermal installations. A total of 525 dwellings with 1,350 residents are connected to the heating network. AI algorithms and a specially developed IoT (Internet of Things) web platform take care of energy management for the solar collectors, the decentralized hot water storage tanks and the centralized cogeneration systems. 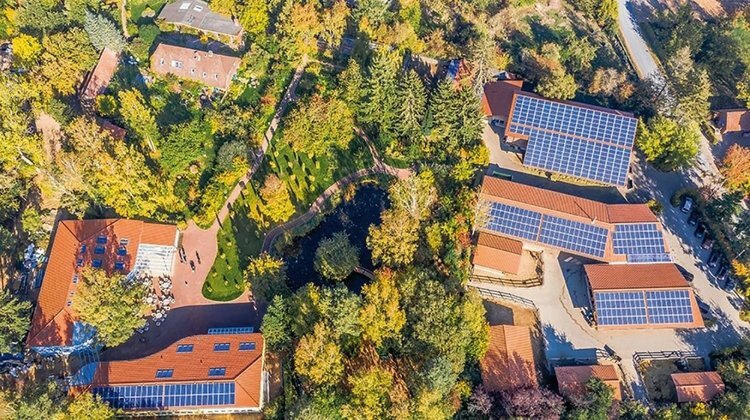 The 1.1 MW solar power plant at the Maharishi University of Management is the first solar installation in the USA to combine active tracking technology and vanadium-flow battery energy storage. The system uses a smart tracker control system which enables each row of modules to move independently to compensate for shading, weather conditions or the topography of the site in real time. The new solar and storage power plant brings the share of renewable energies in the university’s total energy supply to around 43 percent, and is predicted to cut its power bill by 30 percent. The hybrid power plant Isabela, situated on the largest Galapagos island, supplies almost 900 households with carbon-neutral power from solar energy and biofuels. In addition to the 952 kWp photovoltaic installation and a battery storage system with a capacity of 330 kWh, it also includes a diesel generator with an output of 1,625 kW. The oil of the native plant jatropha is used as a biofuel. 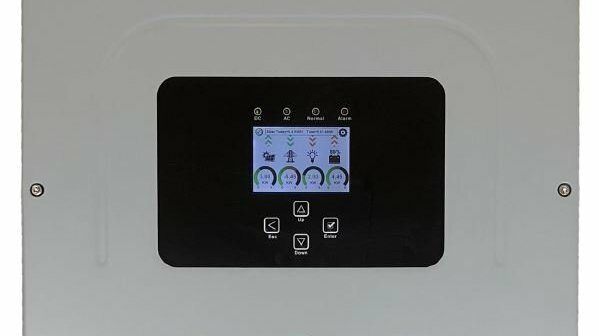 Thanks to the smart control unit, a PV forecasting system and the accumulators, the diesel generator can be turned off when the sun is shining. 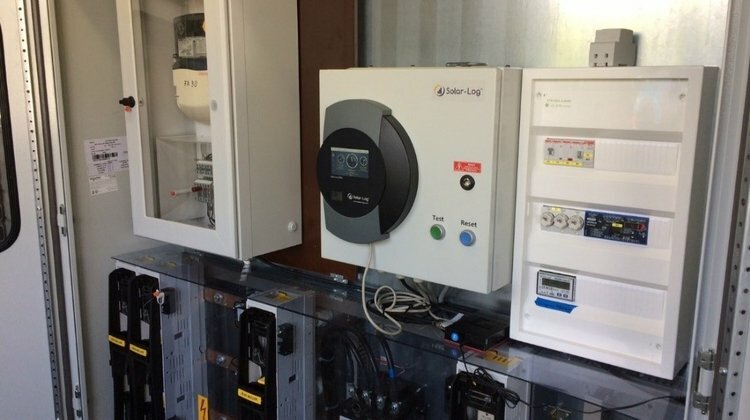 The two-stage control system Solar-Log ensures that feed-in limits are complied with, even if the total output of two photovoltaic installations exceeds the limits. This means there is never more power being fed into the grid than is specified by the utility company. In addition, as much power as possible is retained for self-consumption. Grid operators can now accept requests they previously had to refuse. 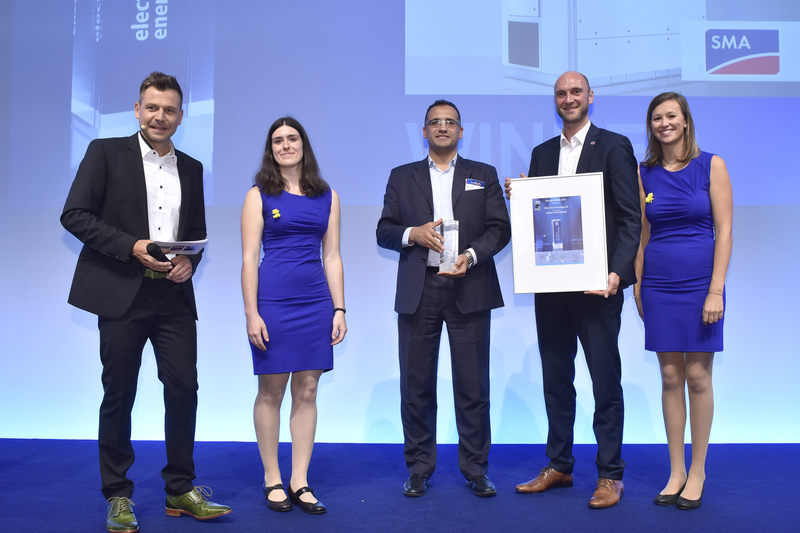 kraftBoxx, a thermal energy storage unit for heating and hot water using latent storage sticks, boasts a considerably higher energy storage capacity than conventional heat and cold storage systems without taking up any more space. The sticks can also be retrofitted in existing systems. Depending on the desired operating point of the heat or cold storage system, the sticks are filled with different media to optimize them for specific temperature ranges. Due to its high energy storage capacity, kraftBoxx is ideal for sector coupling in single-family homes. 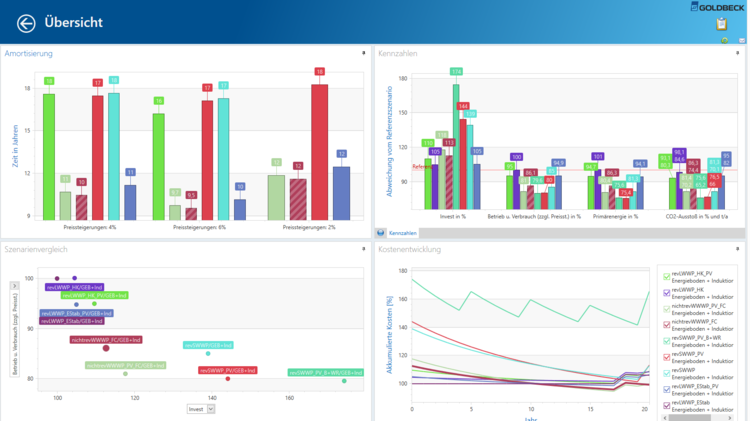 Goldbeck’s energy optimization software GEOS can be used in the early stages of a project to compare economic and ecological evaluations of different renewable energy supply concepts for office buildings. This enables fact-based comparison of alternatives with each other and with the standard, so that the most cost-efficient and sustainable solution can be found. The modular AC charging station plays a central role in the infrastructure for electric vehicles. 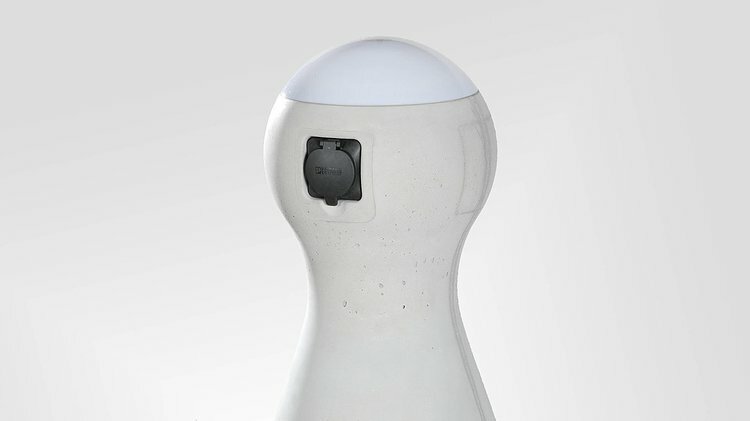 Shaped like a board game piece, the small and stable concrete charging station provides charging power of up to 22 kW. This elegant yet solid piece of street furniture is extremely user-friendly. The housing material sequesters particulate matter and removes nitrogen oxides from the air. 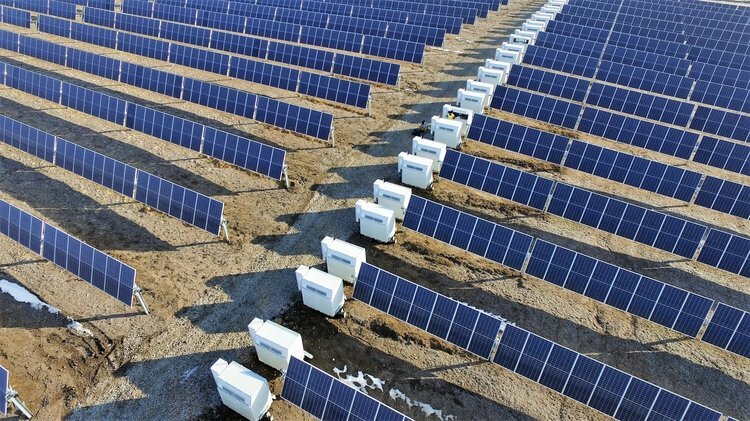 With SunSat Digital Twin, operators can monitor the condition of their solar power plant without even needing to measure the radiation on-site at any point. The actual yield is continuously compared with the target yield using solar radiation data determined by satellite. This provides useful insights into reduced yields and helps the owner or operator to identify potential errors at an early stage. 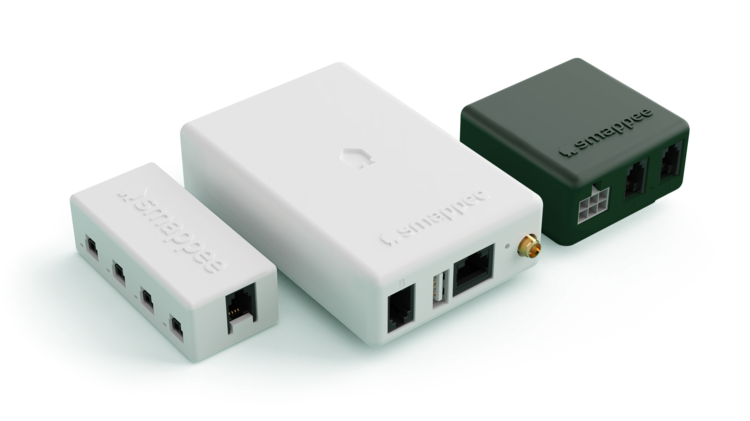 The modular energy management system Smappee Infinity, which can also be retrofitted, analyzes the energy flows in a household and displays them visually in a smartphone app. This helps to identify major electrical loads, which can then be turned on and off as required. Loads can be controlled according to the time of day to ensure that as much as possible of the energy generated is consumed on-site. 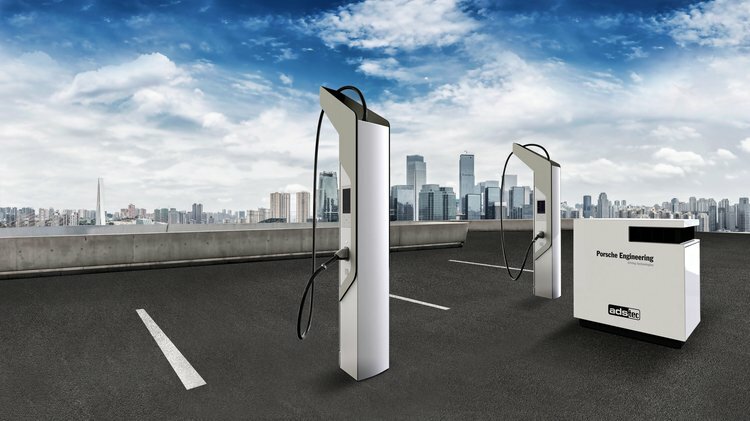 The system can also time electric vehicle charging to make use of cheaper tariffs whenever possible, for example, or configure charging so as not to exceed specific load limits at the house connection point. 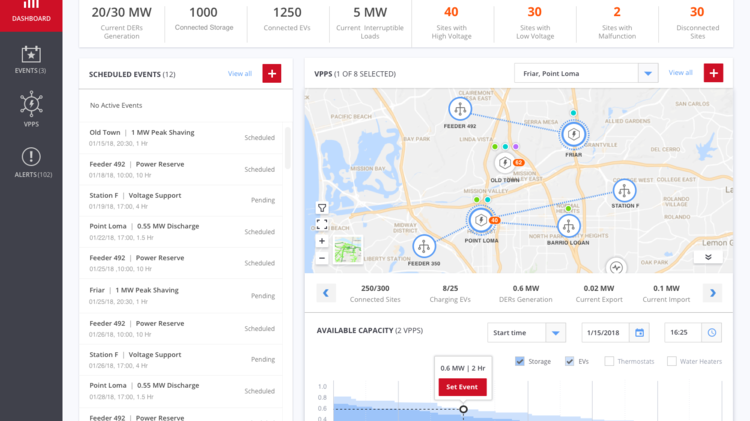 SolarEdge’s virtual power plant solution groups together decentralized energy generation installations to create a virtual power plant, and coordinates them to offer grid services or contribute to grid stability. The software platform operates independently of the hardware of individual energy generation plants. The intelligent combination of decentralized and cloud-based processing power ensures that latency is kept to a minimum, which is necessary for grid services. These solar blinds do not only provide shade, they also bring down the electricity bill. The blinds are supplied with microinverters which convert DC into AC so that electrical appliances can be recharged directly from the junction box. 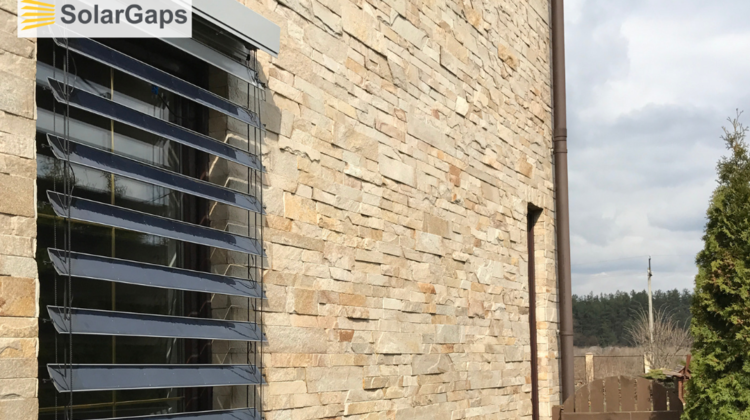 The PV blinds can be controlled by smartphone app or, alternatively, adjust themselves automatically for optimal sun exposure. 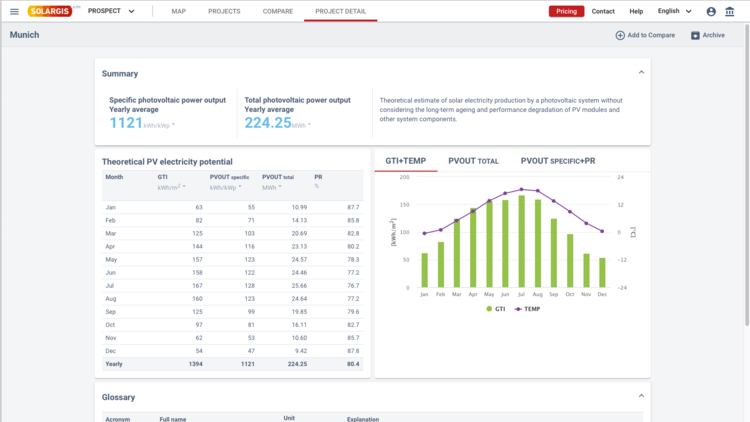 The software solution Prospect displays a complete yield simulation for small, medium and large-scale photovoltaic power plants. 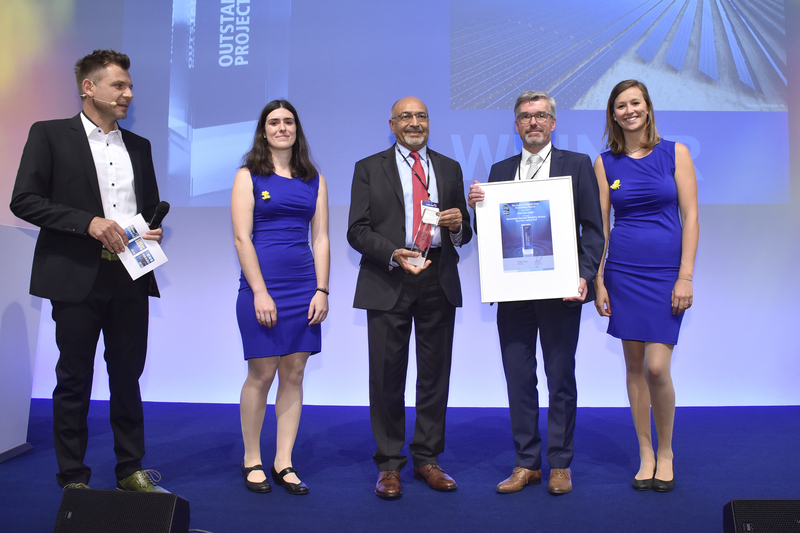 Based on averaged weather and radiation data from a range of sources, the technical simulation of the photovoltaic installation provides a reliable yield forecast. The result is then automatically presented in a clear and comprehensive report. 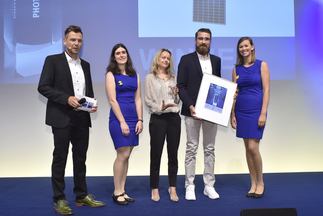 Selv-PV is a compact, intelligent energy system made up of a 1.68 kWp photovoltaic installation (six solar modules) and a 2.5 kWh storage device. The system is designed for self-consumption of solar power in private households. It is equipped with all the necessary protective features and can easily be connected to an AC power socket. 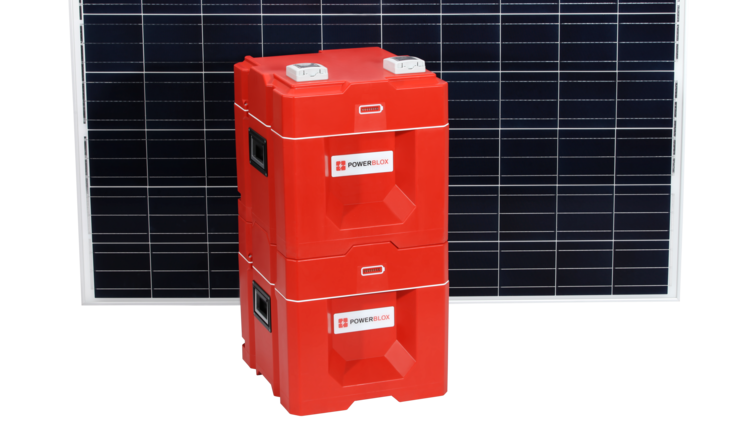 The Power-Blox battery units feature ports for PV modules as well as outlets for 230 V alternating current and 12 V and 9 V direct current. 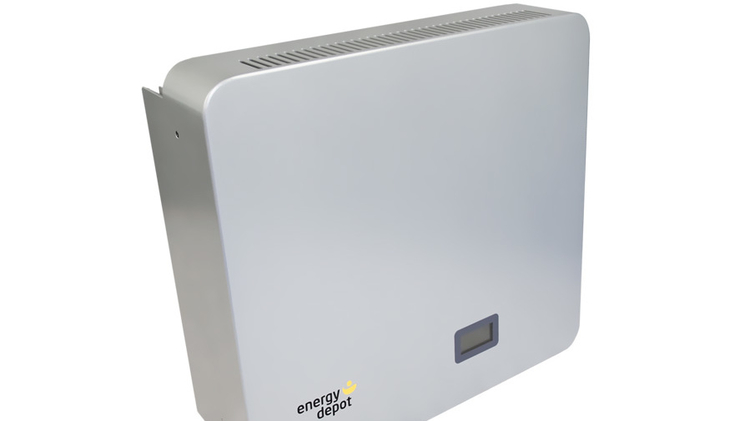 The energy cubes with an integrated battery are the basic components of a self-configuring system. Connecting several storage devices creates a distributed grid without a central storage unit. As it does not require any advance planning, the system is suitable for both temporary and permanent electricity supply in regions without a stable grid. ABB is introducing a new generation of central inverters with its PVS980-58. This model has a power rating of around 5.0 MVA and a unique cooling system, setting a new benchmark for the power plant sector. The maintenance strategy and the focus on a long service life promise lower operating costs. AE Alternative Energy’s module design provides up to 30 percent more output in the shade. Bypass diodes increase shade tolerance and prevent hotspots from developing due to localized shading or module defects. This means the modules can be used at high temperatures up to 85° Celsius. The solar roof tile HanTile is a pioneering example of how solar cells can be elegantly integrated into roofs. 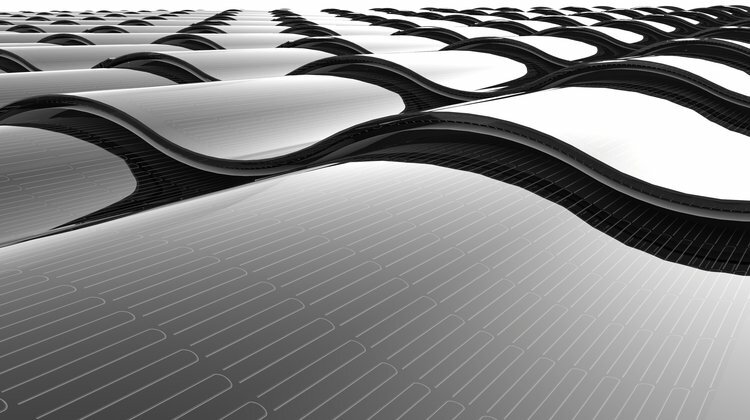 CIGS solar cells in curved glass elements form plug-in PV modules rated 30 W. The solar roof cells are laid just like shingles to completely replace the conventional roof covering. They meet high standards in terms of construction, fire safety, waterproofing and mechanical strength. 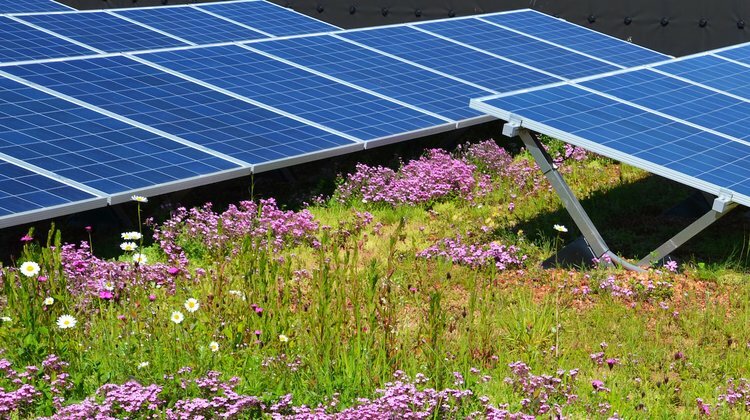 Contec’s product Contec.greenlight combines a PV mounting system for rooftop installations with a green roof solution. The base plate is light and easy to lay, and is filled with a granulate where plants can grow. The integrated water reservoir stores rainwater for the plants and supports the drainage system during heavy rain. 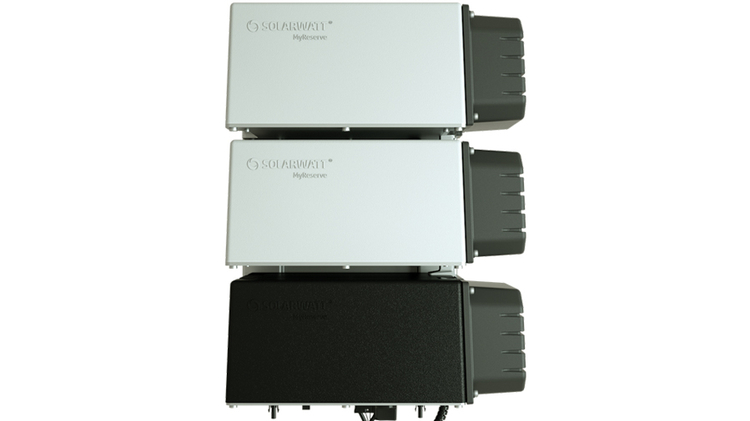 The series Smart PV String Inverter SUN2000-20KTL-M0 enables flexible set-up of commercial systems. Although the design does not incorporate a fan, the system is lightweight and compact. It is combined with performance optimizers if necessary due to shading or differing module orientations. 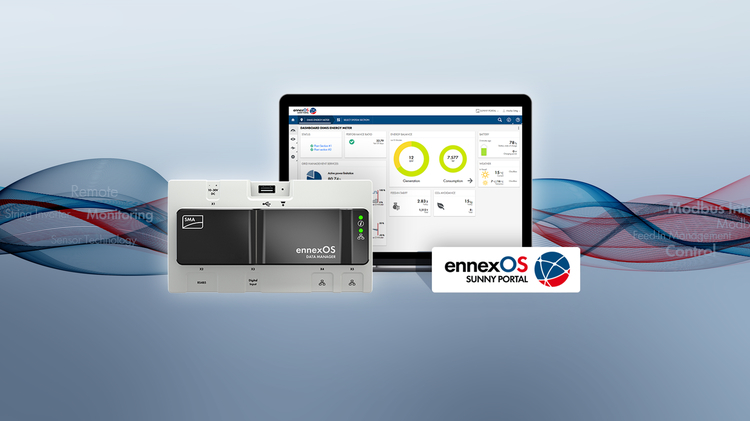 The integrated error diagnostics and energy management system ensure trouble-free operation with or without a battery storage system. DeepSolar is a diagnostic software program for cost-optimized maintenance of PV power plants. The AI-based algorithm uses data generated by existing monitoring systems to enable optimization of operation and maintenance – replacing interval-based maintenance with a cost-efficient responsive approach. 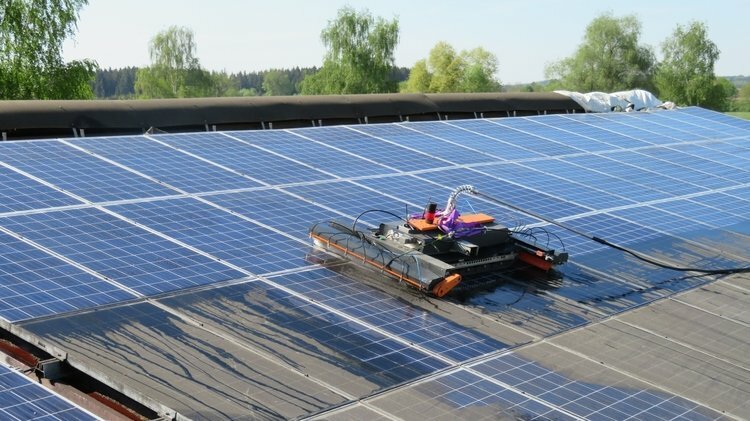 Staudinger’s remote-controlled cleaning robot moves across the PV installation on suction pads arranged to form caterpillar tracks. 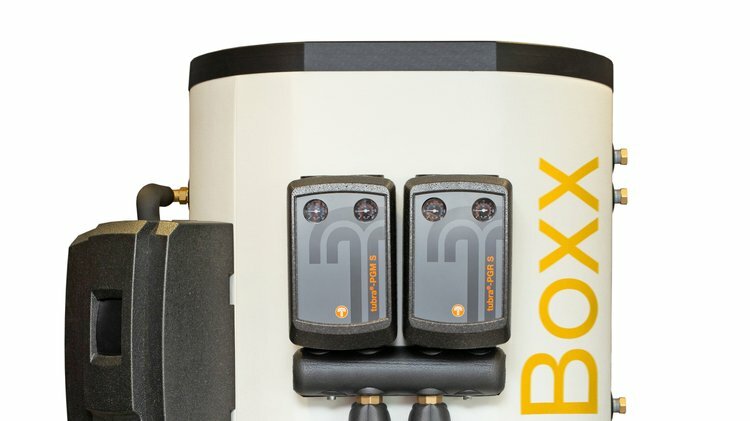 A magnetic field measuring instrument allows the robot to detect faulty string diodes or cell connectors and display them in high-resolution images. 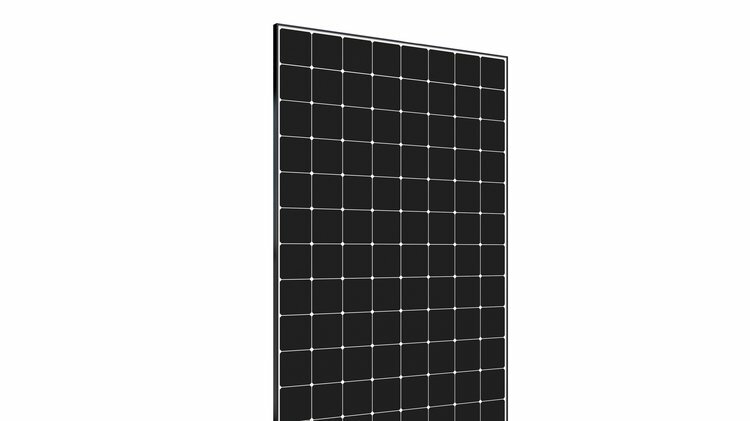 The new Maxeon 3 series solar module with back contact cells has an outstanding efficiency rating of up to 22.6 percent. 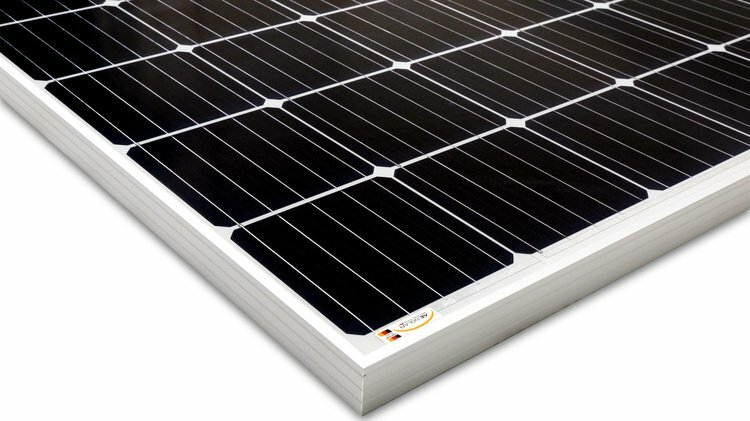 Just 1.69 meters long, the modules offer output of 370–400 W with a 92 percent performance and product warranty over 25 years. 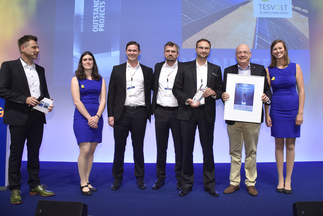 The newly founded company Tessolar has developed a whole new mounting system concept for PV installations. 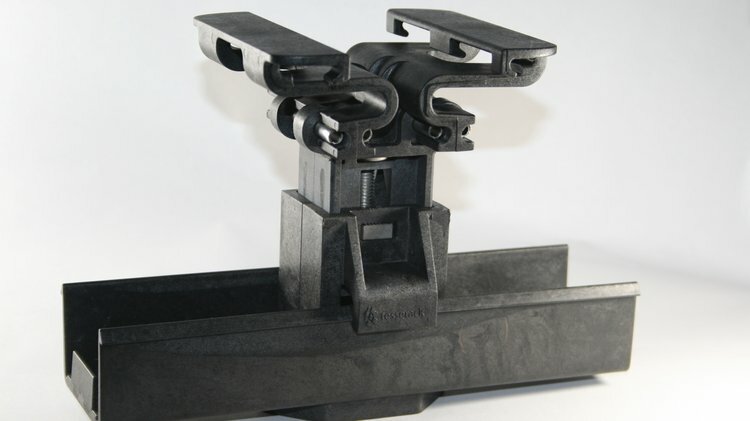 The Tesserack system replaces metal substructures with lightweight elements made from a plastic material that is also used in space technology. The PV modules can be rapidly clicked into place with no need for tools. 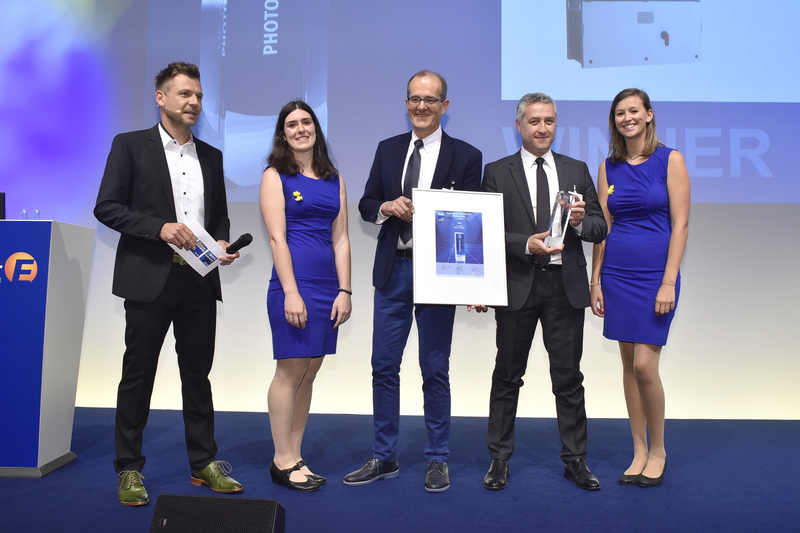 Jinko has used the transparent back sheet Swan from DuPont for the first time in its Cheetah Bifacial HC module, making it more lightweight than glass-glass modules. The bifacial half-cut cell module, with an output of up to 400 W, is ideal for PV power plants and is optimized to ensure a low levelized cost of electricity (LCoE). It also offers a linear performance warranty lasting 30 years. One challenge for clean mobility is enabling high-speed charging for electric cars even though the grid is not designed for this. And this is where the StoraXe HPC Booster comes in. 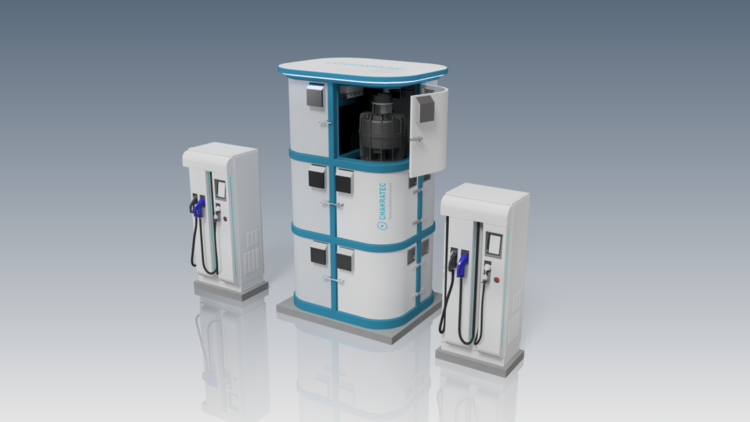 With a capacity of up to 140 kWh, this storage solution supplies high-speed charging points with a charging power of up to 320 kW. The StoraXe HPC Booster is connected to the 400 V distribution grid and recharges there at a rate of 50 kW. The device is certified for outdoor use and is also liquid-cooled. The SMILE-B3 storage solution in the Storion series is an AC-coupled compact storage system for residential use with a 2.9 kWh lithium-iron-phosphate battery storage unit and a charge and discharge capacity of 3 kW. Designed for a service life of 20 years, the storage system can complete over 10,000 cycles at a depth of discharge of 96 percent. 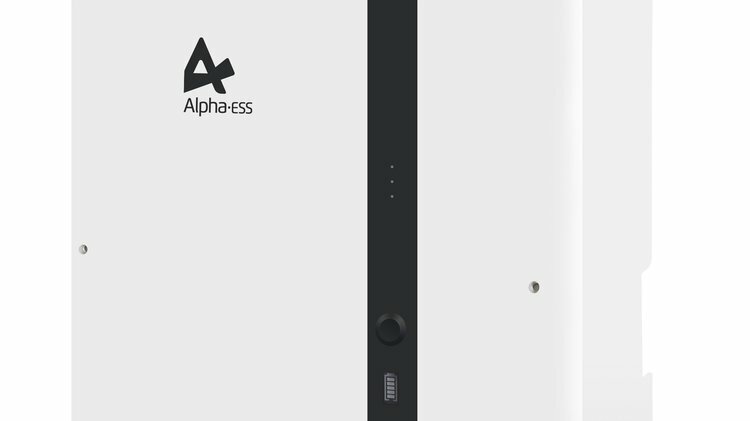 Alpha ESS Europe offers a 10-year warranty. Rated under the protection class IP65, the 45 kilogram device is also suitable for outdoor use. 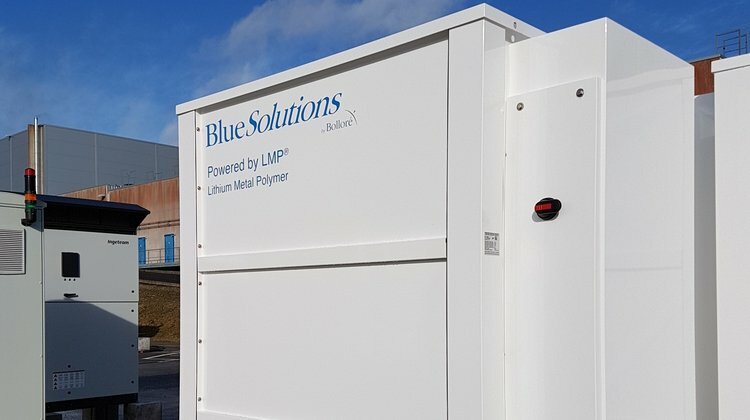 With a capacity of between 250 and 400 kWh, the LMP (lithium metal polymer) 250/400 rack is the cornerstone of this storage solution and currently the only solid-state battery on the market. The housing contains an integrated controller, is hermetically sealed and does not require cooling. The racks can be assembled to create a storage system of up to 3.2 MWh. The LMP batteries do not contain cobalt or liquid electrolytes, and can be operated at temperatures of up to 105° Celsius. 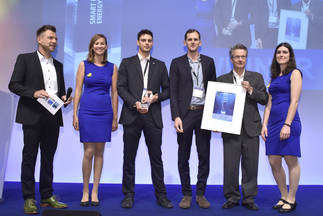 They have a service life of up to 4,000 cycles and have proven their suitability for everyday use in car sharing projects. Charging electric cars at charging stations, particularly on highways, places considerable demands on electrical output. This is especially true if several charging points are used at the same time and high-speed charging is required. The Kinetic Power Booster provides an innovative, efficient and space-saving solution for this, using spinning reserves in the kinetic storage system to significantly boost the electrical output. 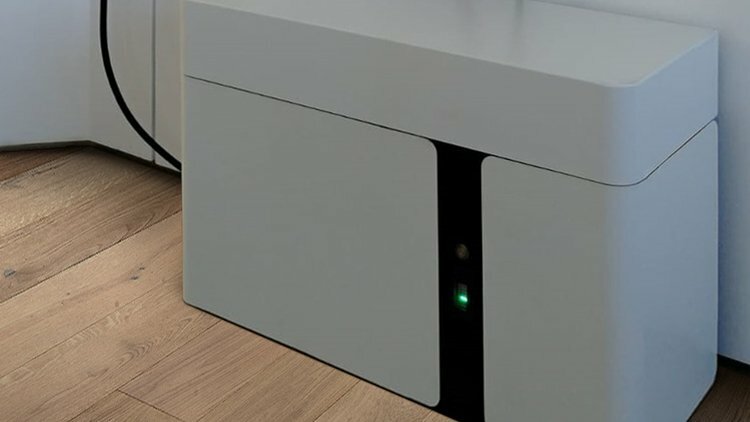 The SolMate system is a smart domestic storage solution combined with registration-free PV modules which are simply plugged in to a standard German Schuko socket. It stores power in lithium-iron-phosphate cells with a capacity of 960 Wh and has a connected load of 500 W. Storage control is based on measurements made directly at the socket using a patented method, and no further measuring elements are required. In the standard operating mode the in-built inverter is externally commutated, though it can also be used for stand-alone operation. 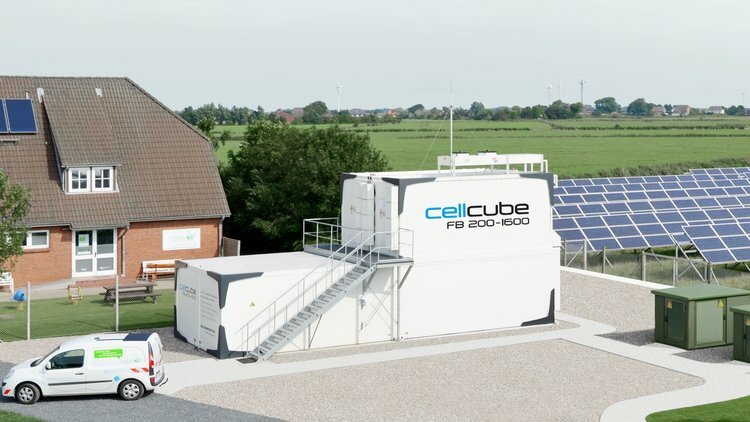 The CellCube storage system is based on vanadium redox flow technology. This enables more than 20,000 charging cycles over a service life of 30 years, with virtually no degradation. And at 95 percent, the system also achieves a high level of efficiency. 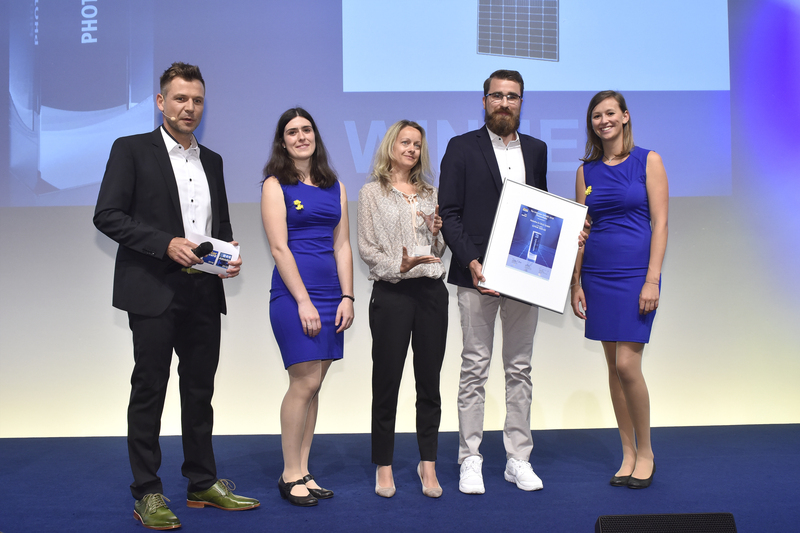 The scalable, high-performance 250 kW units can be used in large-scale solar parks and wind farms, as well as in self-sufficient building solutions and stand-alone grids. They can also be used to provide services in the capacity and balancing markets as well as in load and generation management. 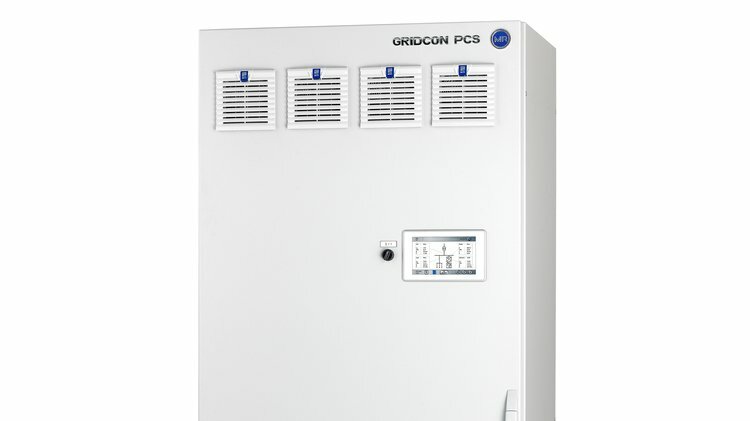 The GRIDCON® PCS 4W has proven itself as a modular, bi-directional inverter unit with 3 x 40 kW for storage coupling in industrial environments, during both on-grid and off-grid operation. 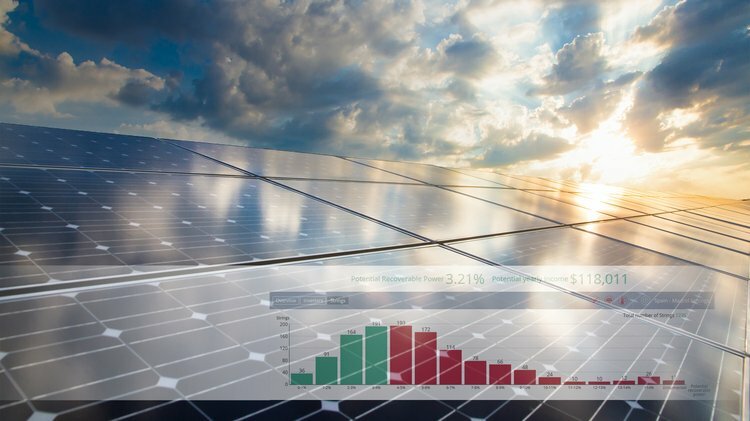 With extremely short reaction times of under 100 milliseconds, the energy management system makes it easy to bring spikes in production from solar parks and wind farms under control. Its additional strengths lie in its wide range of options for grid management, including reactive power control, frequency regulation, elimination of harmonic distortion, and asymmetrical load compensation. This enables the device to be used to construct stable stand-alone grids for microgrid applications and convenient solutions for supplying emergency and back-up power. 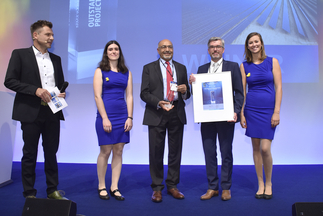 Directly storing solar power in large-scale PV power plants saves money which would otherwise need to be spent on additional systems technology – and because fewer conversion steps are needed, this method of storage is more efficient. The large-scale storage systems, with direct DC coupling, are also well suited to retrofit projects in PV parks. 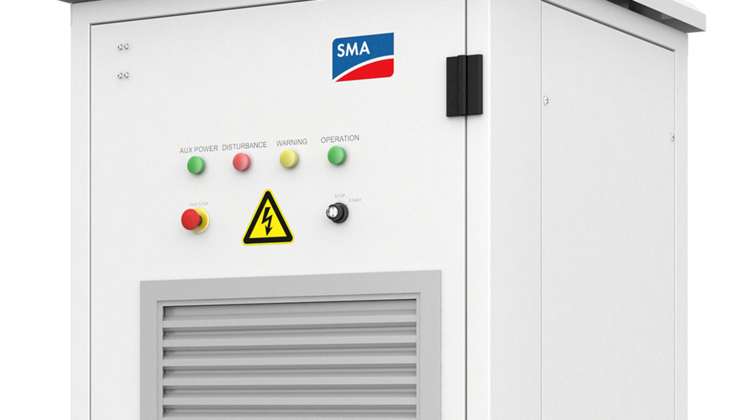 The outdoor appliances are delivered ready to connect and have a wide MPP control range of 500 to 1500 V. Up to six devices can be connected to a central inverter unit from SMA with output of up to 3 MW. The Sol-Ark 8K is an efficient and flexible hybrid inverter designed for 48 V battery systems, and can be used both on-grid and off-grid. The robust device with controlled ventilation supplies a power output of up to 20 kW in stand-alone systems. It can be operated with grid frequencies of 50 Hz and 60 Hz, and with lead or lithium-ion batteries. It communicates with the battery via CAN or RS 485 bus. The Solar Experience Space at Ho Chi Minh City University of Technology in Vietnam is a zero-energy building used for student education. 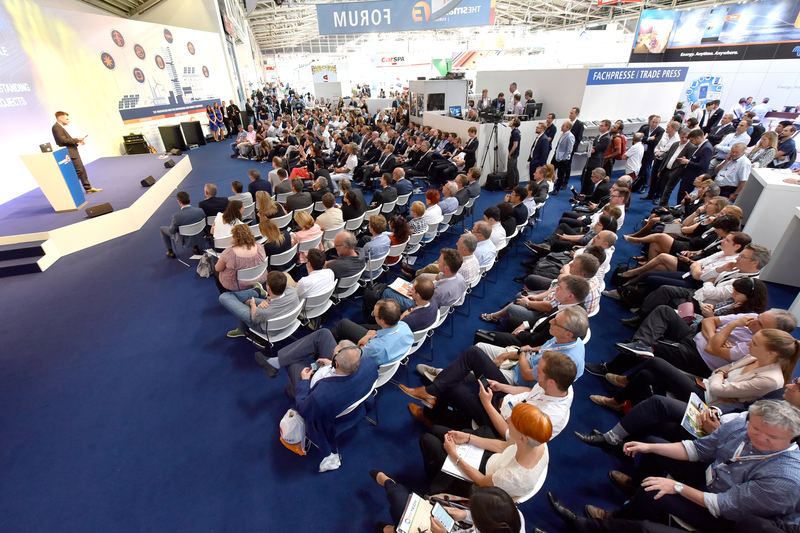 Practical experience with new products and technological solutions can be gained from the HVAC technology installed there, which includes photovoltaics, solar thermal installations and heat pumps. The 300 MWp PV installation in California, USA, is integrated in the power grid and replaces grid services such as power grid stabilization, which previously had to rely on conventional power plants. The free-standing 53 kW photovoltaic installation with a 48 kWh storage system is able to run an avocado farm in Australia on 100% renewable energy. The energy generated from the 300 days of sunshine per year has done away with the reliance on diesel generators. 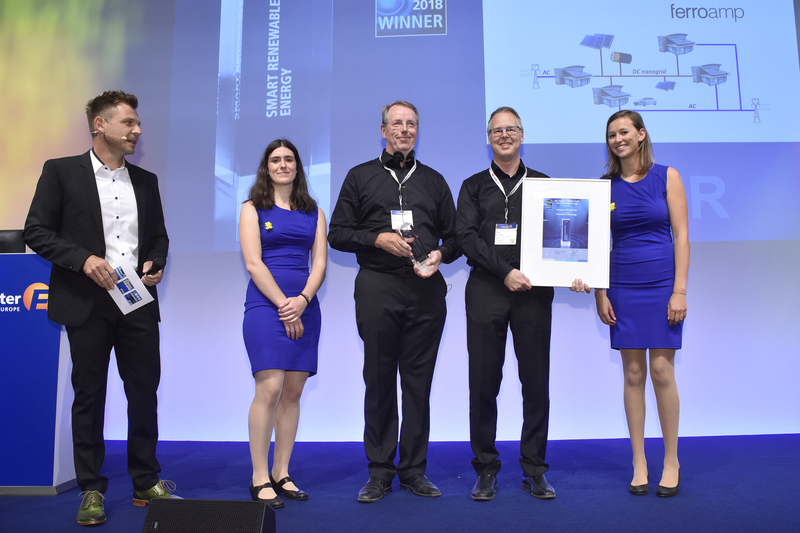 The PowerShare technology is based on a DC nanogrid, which distributes locally generated power from renewable sources amongst users in the same DC grid. In the context of decentralized power generation, DC nanogrids are being met with growing interest as they can significantly reduce the costs of grid expansion. 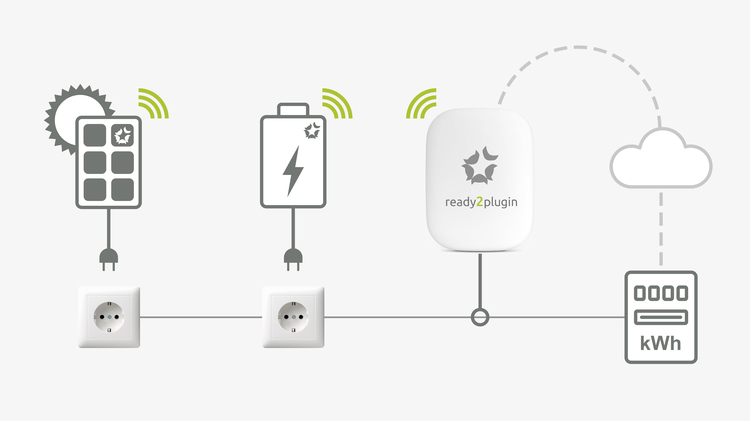 ready2plugin is a plug-and-play solar system with a capacity of up to 1,800 Watts, which can be connected to any standard power socket. A software-controlled limit on the operating power at the maximum permissible load guarantees electrical safety in accordance with VDE guidelines. 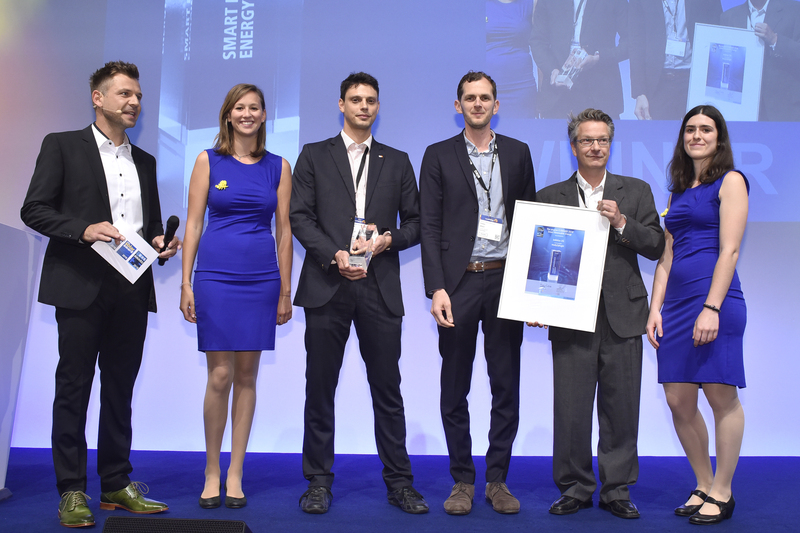 With the ennexOS platform, SMA presents a cross-sector IoT platform for energy management. 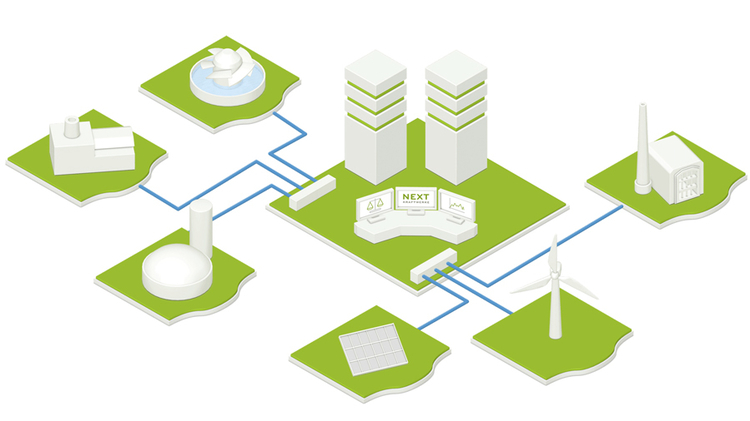 Different energy flows can be controlled using appsbased on standard industry protocols. This ensures that upgrades are possible at any time. 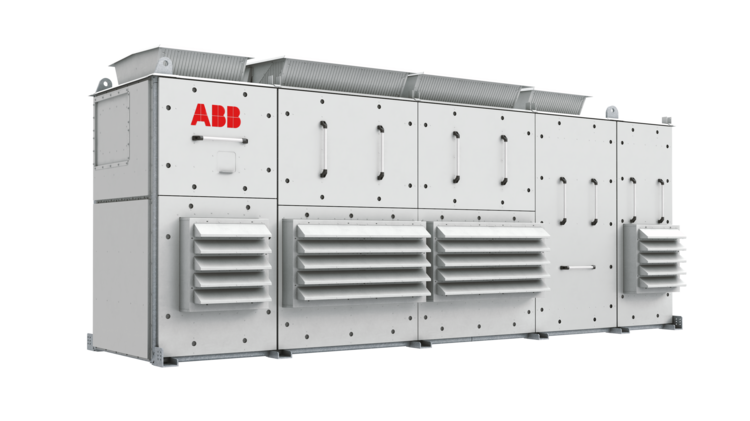 ABB presents the PVS-175-TL string inverter for large-scale PV plants with 12 MPP trackers. It is highly efficient and has an enormous power density. 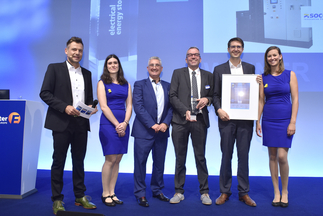 Other noteworthy aspects are its ability to operate at 1500 V, the integrated data logging and communication standards, the installation app, diverse grid integration features and the connection to ABB’s cloud system. Designed with round wire cell contacts and six busbars (front contacts), the half-cut cell module Q.PEAK DUO-G5 achieves a module efficiency of 19.9% with cost-effective standard p-type cells. The innovative technology Q.ANTUM DUO halves the current passing through each cell, stabilizing them and increasing their shade tolerance. 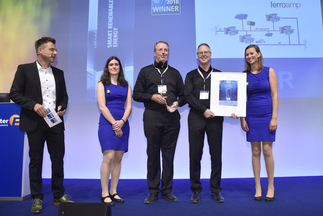 The product CAS² optimizes the highly precise manufacture of support systems for free-standing PV installations. After the CAD-based system design has been drawn up, individual and optimized plans are prepared for every PV project and the installation robots are controlled with pinpoint accuracy. 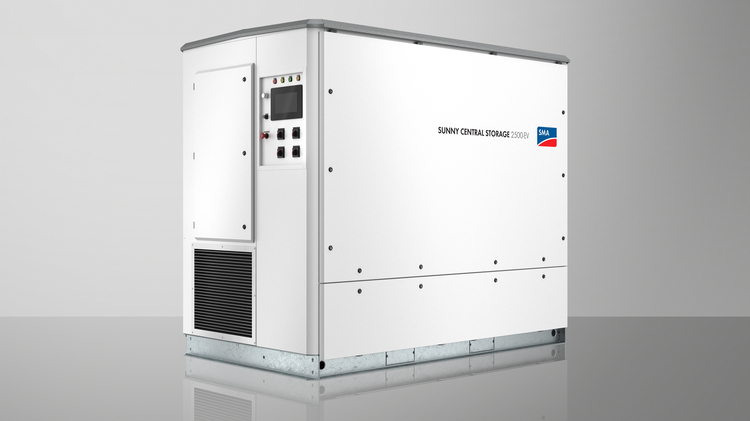 Thanks to its high input voltage range, the innovative, grid-forming Sunny Central Storage battery inverter is compatible with a wide range of batteries and integrates up to 100% of the renewable energy generated into stand-alone grids. The robustly designed medium-voltage stand-alone inverter in the megawatt class is able to perform black starts and is equipped with a SCADA-based communication system. It can offset fluctuations in the generation of renewable energies and provides a wide range of grid services. Together with the accompanying battery units, the SUNSYS PCS² IM bidirectional battery inverters are a grid-forming Microgrid Energy Storage Solution, able to perform black starts and operate extremely efficiently, even in low output ranges. The storage systems are scalable from 33 kVA to the multi-MVA range and are well suited for setting up microgrids with a large share of renewable energy. As a scalable unit with a capacity of 375 kW, the DC-to-DC converter DPS-375 is able to smooth peaks in demand (peak shaving) or constrict upper limits (ramp rate) in solar power plants. 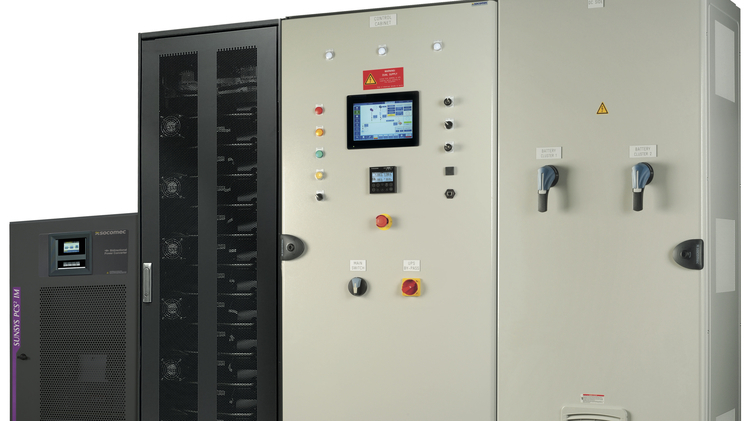 The converter makes it possible to connect battery storage systems on the direct current side of the PV generator to a wide input voltage range from 550 V to 1,000 V using DC-coupling. 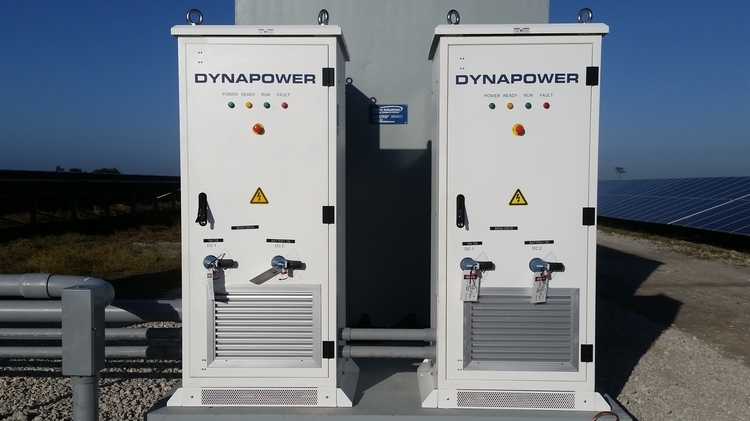 With an efficiency rating of 98.2%, and thanks to the lack of transformers and inverters, it is more cost-efficient than AC-coupled battery storage solutions. 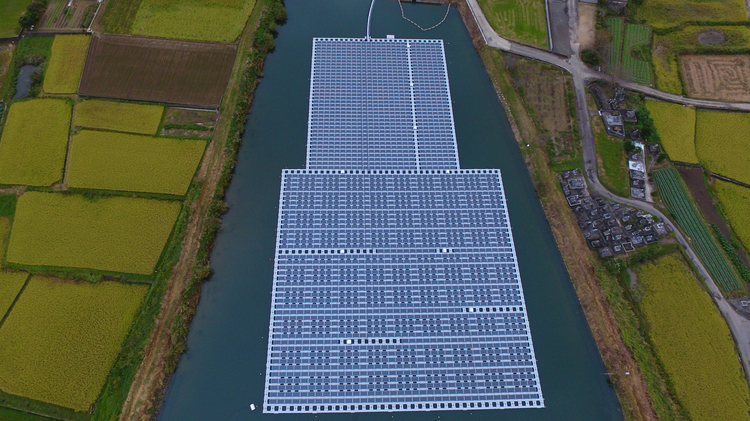 The Rising Tide of Floating PV is a system which allows large PV installations to be built on bodies of water. This allows the utilization of large surface areas on bodies of water, such as reservoirs, which previously have not been fully exploited, despite often being located close to electricity consumers. 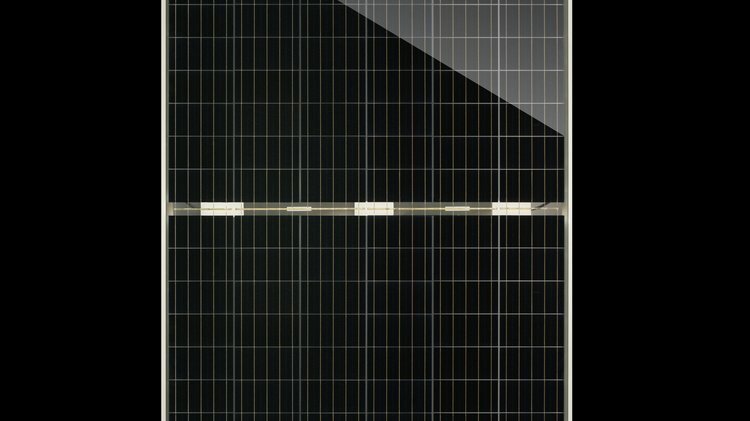 Q.PEAK RSF L-G4.2 375 is a high-performance monocrystalline module with an optimized module cable connection and innovative module frames made of folded steel. The simplified substructure saves costs through the use of fewer components, decreased material consumption, and quick assembly. The efficient and high output Sunny Tripower CORE1 outdoor inverter with 50 kW is quick and easy to install with just a few components. 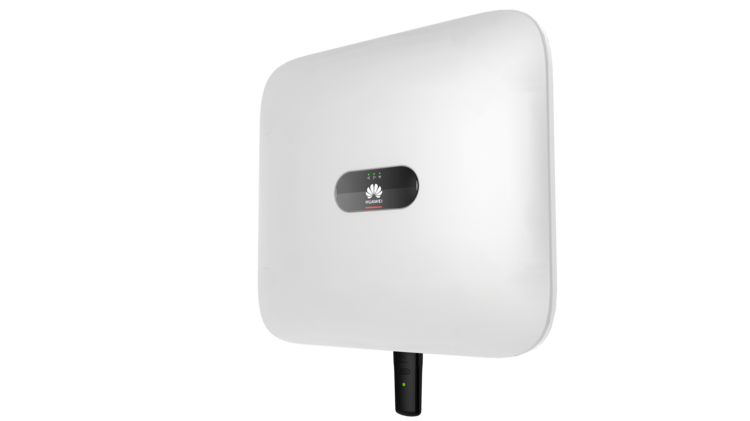 The device boasts six MPP trackers, Wi-Fi communication and various other functionalities for an attractive price. It is suitable for large rooftop installations, as well as free-standing installations. 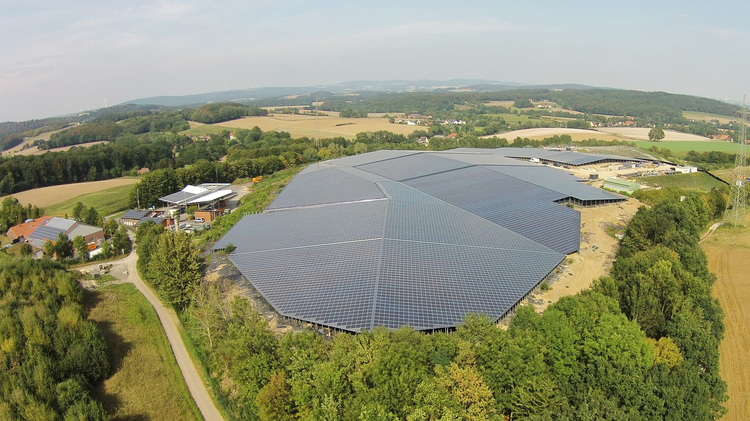 A photovoltaic installation is being used to prevent rainwater from seeping into a landfill site in Germany. The almost 10 MWp installation covers the landfill, which has the double advantage of reducing maintenance costs and generating electricity. 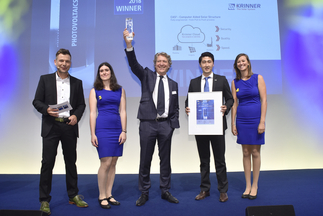 The virtual power plant supplies balancing power generated by photovoltaics, wind power and cogeneration systems in Germany. The business model, which includes the weather forecast and direct marketing, promises success now and for the future. Solar energy is the basis for a new business model serving small dairies in Kenya. 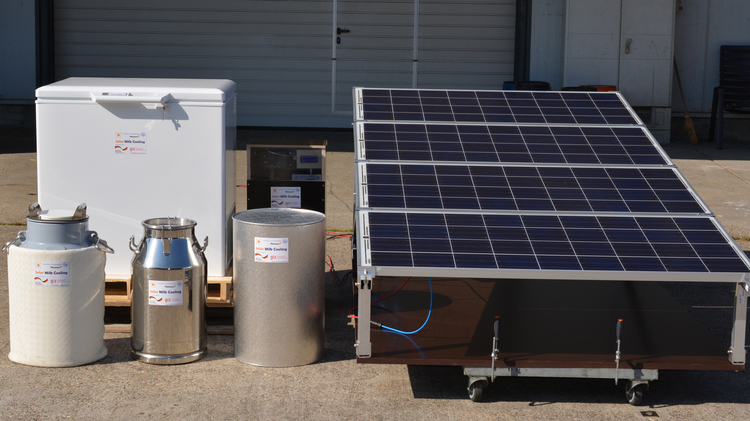 Photovoltaics are combined with bespoke components, such as the cooled milk container, to create a closed cold chain for the transport of healthy, long-life milk. 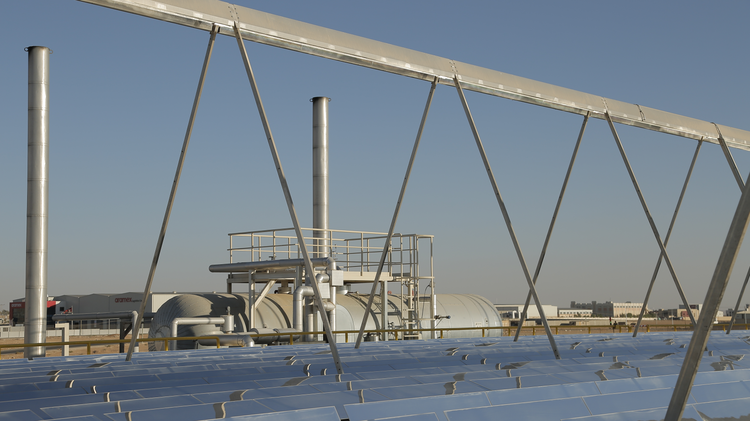 The Jordanian thermal power plant generates steam at over 160°C. Fresnel collectors use the steam to produce energy for pharmaceutical production processes. Integrating photovoltaics in greenhouses has the potential to benefit food production around the world. 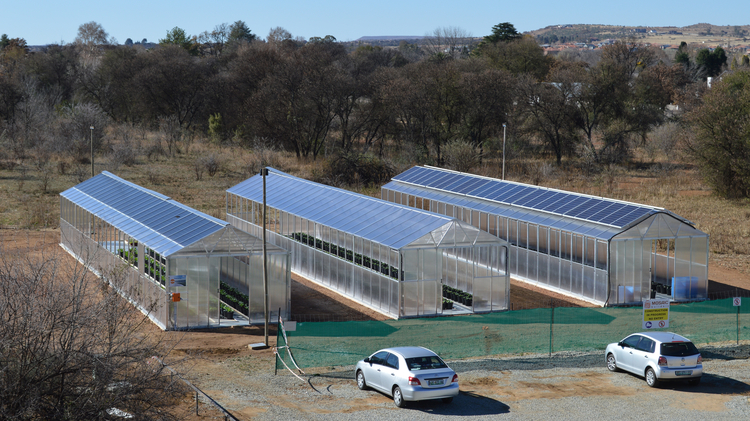 This model project from South Africa shows how even difficult, arid regions can now be used for agricultural production. The glass-glass modules used in this project transmit a sufficient level of 15% of the light into the greenhouse. Richard L. Kauffman joined the office of New York Gov. Andrew Cuomo as the state’s first Chairman of Energy and Finance for New York, or ‘energy czar,’ in January 2013. On behalf of Governor Cuomo, Mr. Kauffman leads New York State’s comprehensive energy policy effort, known as Reforming the Energy Vision (REV). The selfconfiguring Stand-alone Battery Module (SBM) is a lithium battery module using highly efficient cells with high energy density. The charging strategy guarantees an optimized charge transfer between battery modules. The module is designed as a functional component for a wide range of applications or for use in system integrators. 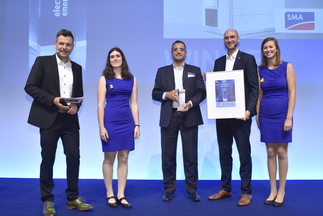 The CENTURIO Energy Storage System combines a threephase hybrid inverter and lithium-ion battery storage modules with a capacity of 4.1 kWh each. The storage system is an efficient energy solution which can be used as an emergency power backup. It boasts a storage capacity of up to 32.8 kWh, a phase balance load and a very high control speed. SOLARWATT Matrix is a modular lithiumion storage system which can be scaled up to megawatt level and is easy to install. Thanks to the direct DC coupling to the PV installation, the system achieves a high level of efficiency. The Solar Module LG NeON 2 BiFacial is a high-efficiency bifacial module that can provide a significant increase in energy yields. The NeON cell technology and the 12-wire CELLO interconnection were transferred into this new module. The Multi-Tray-Stringer Kubus is the only stringer worldwide that can solder up to 5,000 solar cells an hour, representing a highly significant development in productivity.The system interconnects an entire module in the soldering process at once. 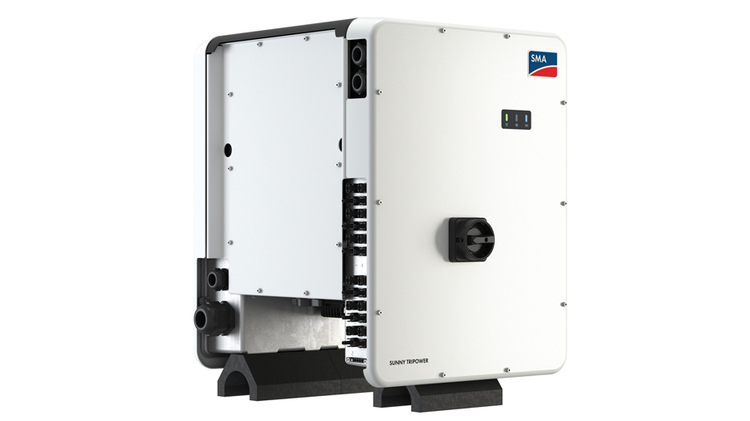 SolarEdge’s HD Wave power conversion technology underpins a compact, lightweight inverter with a record weighted efficiency up to 99 percent. It uses distributed switching and a powerful digital signal processor to synthesize clean sine waves, and contributes to increased power density. Jakson Engineers created a solar-powered village in India with the installation of central, and individual solar units.This community-owned project has improved the quality of life of an entire rural village. Also, the solar unit can be folded up and stored in just two minutes in case of cyclones or high winds. The peer-to-peer smart PV DC village micro-grid in Shariatpur is the world’s first peer-to-peer electricity trading network that interconnects existing Solar Home Systems. Bi-directional metering enables users to buy and sell electricity to the grid. S.O.L.I.D engineered the largest solar thermal cooling installation of its kind at Desert Mountain High School in Scottsdale, Arizona, USA. The installation supplies heat to a single-effect lithium bromide adsorption chiller. Scottsdale has temperatures up to 43 degrees Celsius, and this system can cover 100 percent of the cooling demand in the summer. The project in Lagos, Nigeria, is a standardized solution that replaces diesel genset dependency with solar on a large scale in a geographically-challenging area. Technology, process, competency and fund-sourcing were combined to create a sustainable, plug and play system. 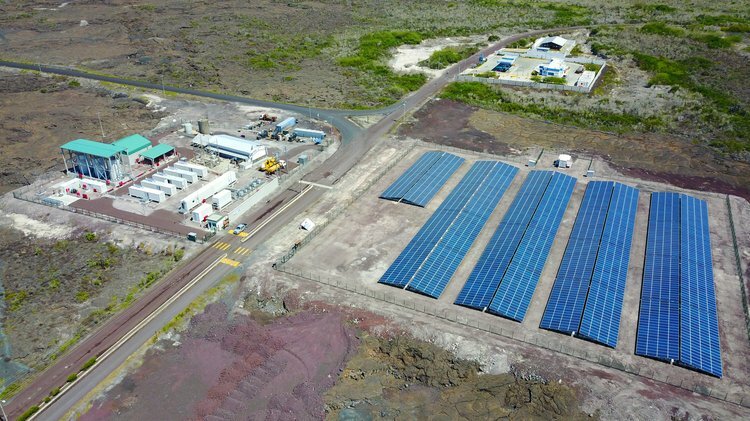 The St. Eustatius Island Electrification via hybrid Utility Scale Solar and Storage project is the first of its size and class in the Caribbean, and helps free the island from genset dependency. This combination is not new, but the inclusion of storage is key, and puts this project at the forefront of diesel substitution development. 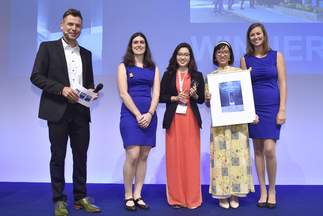 Senate Pro Tem Kevin de León, author of SB 350, California’s landmark 50% Renewable Portfolio Standard law, along with several other key clean energy laws, is the well-deserving 2016 recipient of the Intersolar Champion of Change Award. De León is committed to passing big, bold laws that will create the clean energy future for all to benefit from. 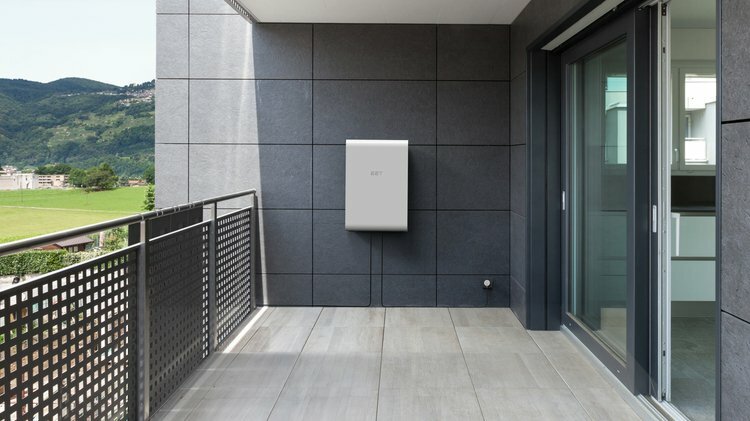 The Residential Energy Storage Unit from the Korean company LG Chem Ltd. is an innovative storage solution, using lithium-ion batteries with advanced JH3 cell technology. The RESU range boasts the world’s highest energy density in the low-voltage range. 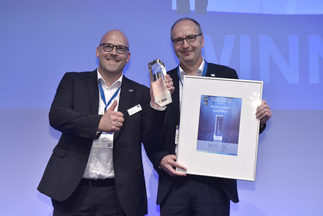 With the compact, transformerless high-voltage battery inverter Sunny Boy Storage 2.5, SMA Solar Technology AG from Niesetal, Germany has developed a solution which is particularly well suited to retrofitting existing PV plants, and at an attractive price. With the EnergyHub System, the Swedish manufacturer Ferroamp Elektronik has developed an intelligent photovoltaic storage combination. This highly flexible, low-loss system brings together a local DC nanogrid, the most up-to-date circuitry and smart meter function. 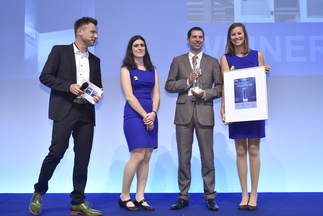 You are interested in all previous winners and finalists of The smarter E AWARD, Intersolar AWARD and ees AWARD?